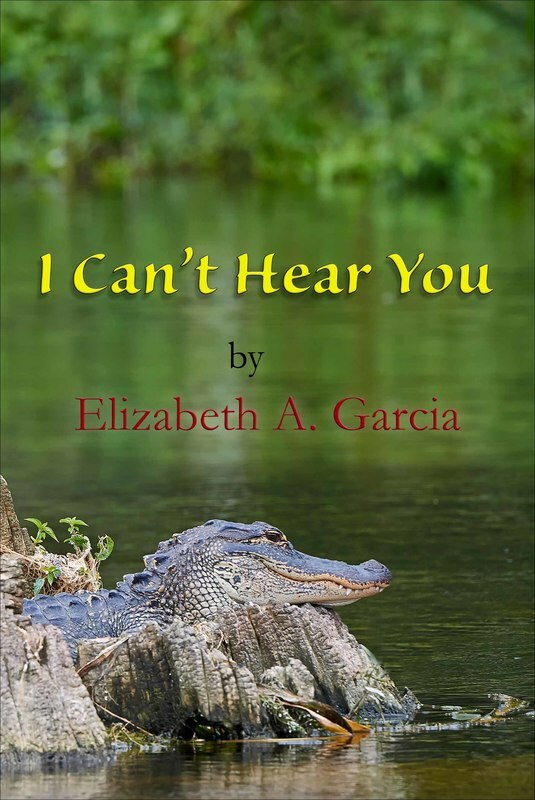 Click here to buy "I Can't Hear You." ​Click here to review "I Can't Hear You." Although the novel opens in Terlingua, don't expect Deputy Ricos, Sheriff Ben, or any of the characters from the Ricos series. They do not ever walk on stage. Instead, meet a new hero, a Deaf man who investigates crimes. Does a Deaf criminal investigator from Austin, TX have an ulterior motive for “vacationing” in Terlingua? Just as he begins to settle in, a series of murders occur in Sportfish Landing, Florida. Add a rescued coyote to the story, along with a young woman with blueberry-colored eyes who reveals a long-kept secret. 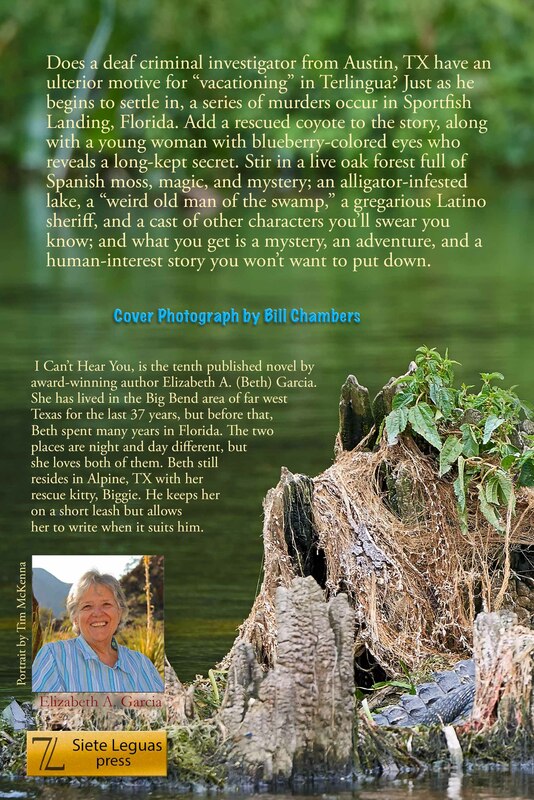 Stir in a live oak forest full of Spanish moss, magic, and mystery; an alligator-infested lake, a “weird old man of the swamp,” a gregarious Latino sheriff, and a cast of other characters you’ll swear you know; and what you get is a mystery, an adventure, and a human-interest story you won’t want to put down. Click here to buy it on Amazon. Click here to review it.